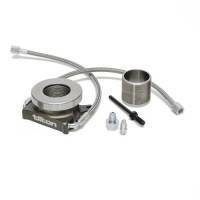 Sonic Racing Products offer famous Tilton quality and performance for the short track racer. 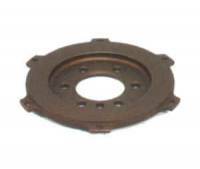 Check out the Recently Listed Clutch Discs. Check out the Recently Listed Clutch Kits. Check out the Recently Listed Clutch Throwout Bearings and Components. Check out the Recently Listed Master Cylinders. Check out the Recently Listed Pedal Assemblies and Components. Pit Stop USA is The Online Motorsports Superstore! We feature Steel Flywheels at low everyday prices. Check out the Recently Listed Throttle Linkage and Components. Pit Stop USA is The Online Motorsports Superstore! We feature Tilton Service Parts Parts at low everyday prices. Sonic Mach I Button Flywheel - Chevy 1-Pc Rear Main Seal - 7.25"
Pit Stop USA is The Online Motorsports Superstore! Sonic Racing Products offer famous Tilton quality and performance for the short track racer. 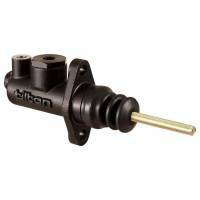 The Sonic Racing Products line from Tilton is a full range of popular driveline components designed and optimized specifically for short track racing. These are high quality products at a competitive price. Best of all, Sonic Racing Products offer reliability, performance advantages and convenience features previously not available in their price range. Sonic Racing Products-the new standard for short track racing! What make Sonic Racing Products superior? Sonic MACH-Series clutches benefit from the same race-proven engineering designs that have made Tilton OT-Series clutches one of the most successful clutches in racing. SonicRear-mount starter packages that offer the lowest inertia 5.5a clutch-flywheel-assemblies available. Sonic Steel bellhousing is the lightest formed-steel bellhousing on the market at 24 lbs. It provides the most ground clearance of any one-piece formed steel 153-tooth Chevrolet housinga no need to cut the bottom out of it. Sonic Hydraulic release bearings machined from high-quality aluminum, feature a reliable monoseal design and the highest quality bearings. Bolts directly to bellhousing and self-adjusts for clutch wear. Sonic Heat-treated billet steel flywheels offer high strength and light weight. Sonic Racing Products is making the move as the preferred choice of short track racers for clutch and driveline components. Why run dated and substandard parts? Choose Sonic Racing Products for the performance, quality and reliability that will maximize your driving talent. We feature Sonic Racing Products at low everyday prices.